Summer is here (unofficially) and all of us mamas need lot of supplies to keep our kiddos occupied on these hot long days! 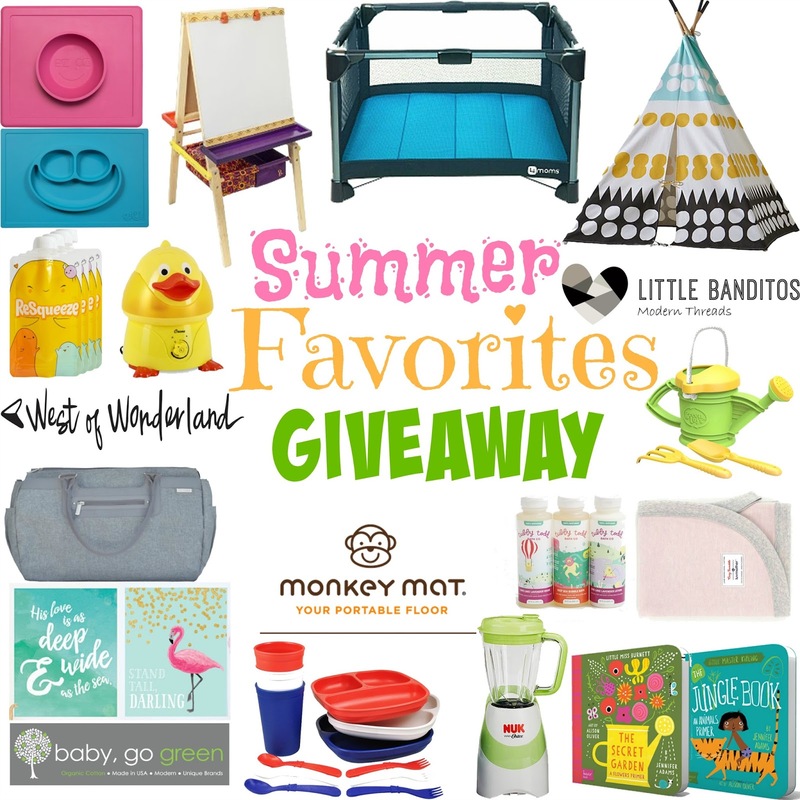 That’s why Jessica of Happily Hughes and I would love to give one reader the chance to win over $1300 worth of Summer essentials. What’s in the loot? So who wants to win big? It’s so easy to enter – just use the Rafflecopter below! Giveaway will be open until June 16th – US only 18+ to win, good luck everyone! What a fun giveaway!! Thanks! What a great giveaway! Good luck to everyone! This is so cute! Good luck, everyone! So many awesome goodies…love the tee pee!! !